Remember that scene in Spaceballs when Darth Helmet orders Spaceball One to go to “ludicrous speed”? The Geneva Auto Show is a lot like that. No crude slapstick humor but tons of ludicrous speed. Here is a small sampling of what Geneva showed us. Schnitzer’s concept takes BMW’s M2 and adds some (more) muscle. The ACL2 puts out 572 hp from a M4’s inline-six. The concept can hit 62mph in 3.9 seconds and has a top speed of 205 mph. This car isn’t the fastest in this article, but those times aren’t slow. In Greek mythology Chiron was the best of the centaurs, noted for his grace, dignity and wisdom and for training Achilles among others. Bugatti’s version may not be a well-educated creature but it is superlative and borderline mythological. The Chiron price tag comes in at $2.6 million and is worth every penny—if you have that many. This car is a refined beast with its newly-designed W16 engine, putting out 1500 horses and 1,180 lb-ft. of torque. Oh, and it hits 62 mph in 2.5 seconds flat. The Chiron’s top speed is a governed 260 mph, though Bugatti says it can go faster with a special key. Since the Chiron is really named for Bugatti racer Louis Chiron—and not the centaur—the speed makes perfect sense. The Regera puts out 1500 hp, like the Bugatti, only it uses a 5.0 liter twin-turbocharged v8 to do it. This is also a plug-in hybrid and The Regera is 1,000 pounds lighter than the Chiron. 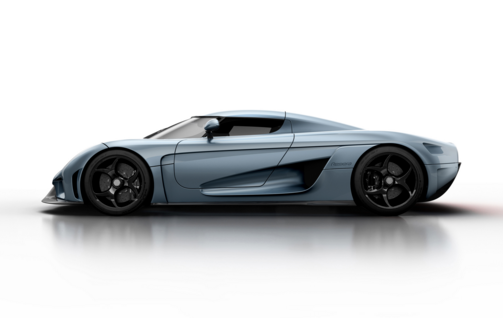 Koenigsegg says it can hit zero to 62 mph in 2.8 seconds which is just a fraction slower that the Bugatti. However, the Regera boasts speeds of zero to 124 mph in 6.6 seconds, and then speeds up to 186 in 10.9, and to 248 in 20 seconds flat. Ludicrous speed. And this is the Lamborghini of Lamborghini. The Centenario, named after what would be Ferruccio Lamborghini’s 100th birthday, sports a big v12 engine that produces 770 horsepower that enables the Lambo a zero to 62 mph time of 2.8 seconds. If that isn’t fast enough you can also hit 186 mph in 23.5 seconds. Lamborghini even includes helmets for track time in the cargo compartment. We will probably never see any of these cars since they are limited runs. In fact the Lambo and Bugatti are already sold out. But what do you think if these cars? FCA’s Sergio Marchionne wants to partner with Apple on Project Titan. I’m not saying Marchionne doesn’t raise valid points about Apple entering the vehicle market, I am just not sure FCA is best suited for building a new vehicle given the recent and tragic deaths of the Dart and 200.